Hi my name is Crystal and I got involved in YoungLives in such a weird and good way. At the time I had recently been released from the mental hospital. While I was in there I decided that I needed help and support. So I went to a program at my school and spoke to a lady named Laura who gave me a flyer about YoungLives. After I heard about it from her I went home and called Myrna and she told me they had club that day but I couldn’t go because I had to study. Around this time I wasn’t really doing a lot. I was in school and trying to take one step at a time to get my life back together. YoungLives means a lot to me because Myrna and everybody else there helped me on my rocky road. Myrna still does support me and I see her like a big sister. It is really awesome that people like her are helping out a lot of us teen parents. YoungLives give you that support and trust you need and they helped me get close to God, which is the most awesome part of the whole experience! A few months before I gradated from high school I got a job at Chipotle and it felt really good because it was my first job. I started college this year and have been managing my classes, work, and taking care of my daughter. 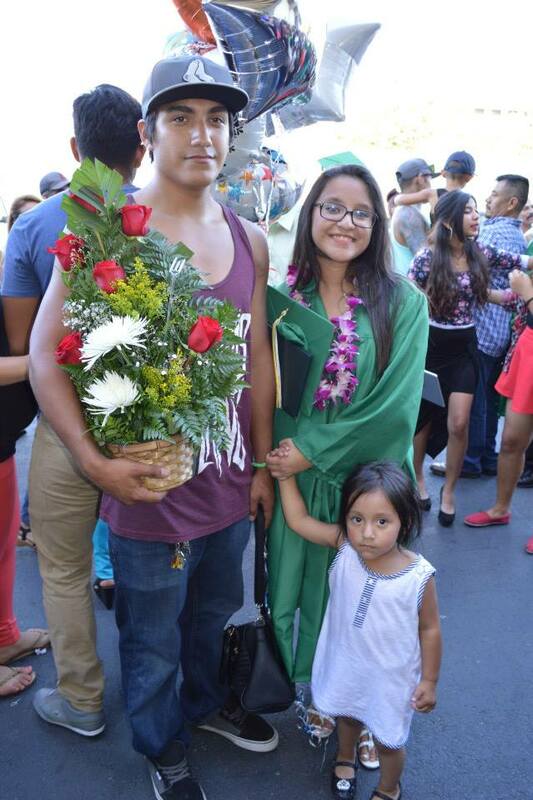 My boyfriend Sergio helps a lot by watching her and supporting me as well. Managing both work and school is very hard but it is possible! This last Saturday I got to be a part of an event called Love Santa Ana where different churches gather together to help out the community. It was my second time participating in one of these events. Some people go out and paint houses, pick up trash and do other things to better the neighborhood. 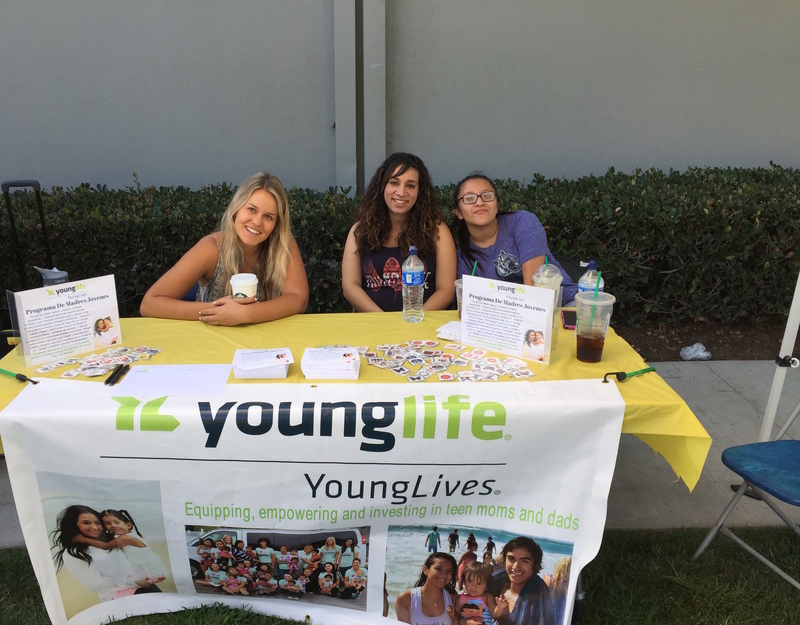 This time I went to share about YoungLives and tell new girls and families about the upcoming YoungLives event that is happening in Santa Ana in December. 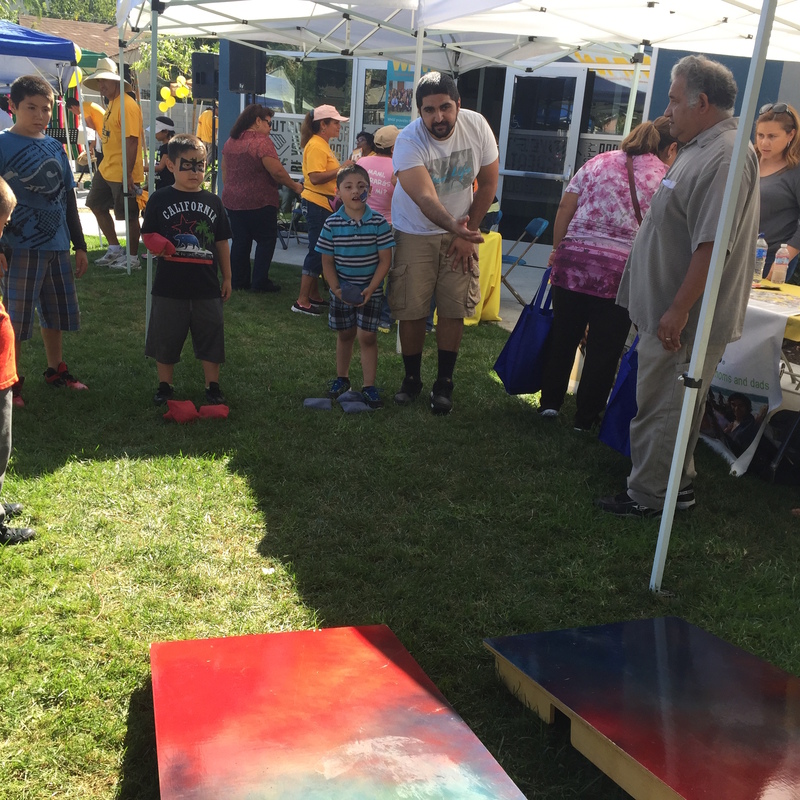 We talked to the families and the kids played the beanbag toss game we had set up. After they played the game we let them pick out a tattoo and they really loved that! It was a great day and we got to promote YoungLives. We will be starting a new club in Santa Ana and we want to make this club fantastic for the girls. It is super exciting to me personally because I was there once and I know how it feels. Now I want to help because I know how much it will change these mom’s lives! Our first club of the year! Last night we had our first club gathering of the year in Huntington Beach. One word to describe the night for me would be crazy, but a very very good kind of crazy. Along with dancing to a rock n roll “ish”version of “Watch me whip” was right there with the craziness. But who doesn’t love a little good-kind of craziness? It’s good for the soul! Lots of laughter, yummy dinner, a great message from Myrna, and lots of toddlers running around giggling – An overall amazing evening! We were especially encouraged to welcome 4 girls who came to club for the very first time! Along with about 30 new volunteers! God provided overly and exceedingly more than we expected when we asked for more volunteers. We are so thankful for those of you who give up you’re time to be a part of this beautiful ministry and a huge part of our girls and their families lives. For me getting to see the smiles on these girls faces all night long and hear the stories of their experience at club and how it is in their words “life changing” makes my job even more worth it to me. My hope and prayer is that every person who walks through those doors every third Thursday feels so welcomed and is able to feel and see the love of Christ demonstrated throughout the night. Another young lives club year is approaching with much anticipation and excitement. Over the past year and a half, maybe two, I’m not so sure, I’m not so good with numbers. 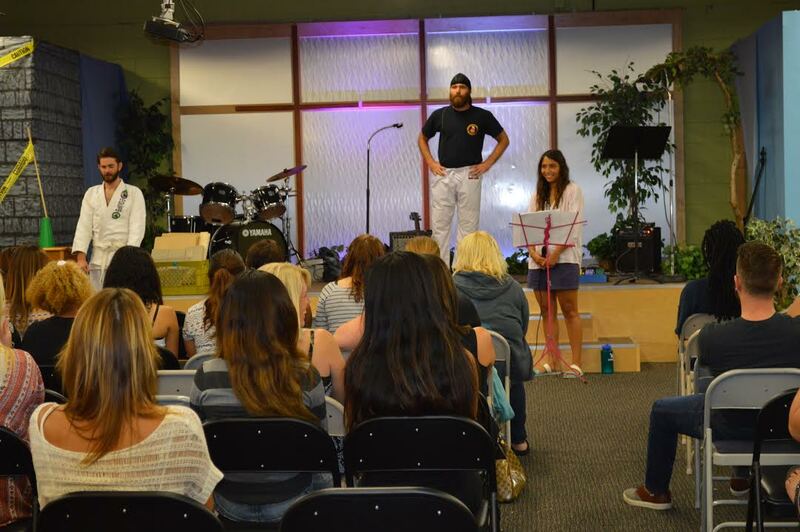 For some time now, I have had the privilege to be a part of YoungLives North Orange County in HB. I have had the oppertunity to witness and experience, first hand, the commitment, hospitality, and love of the moms, dads, babies and volunteers that make up this beautiful community. 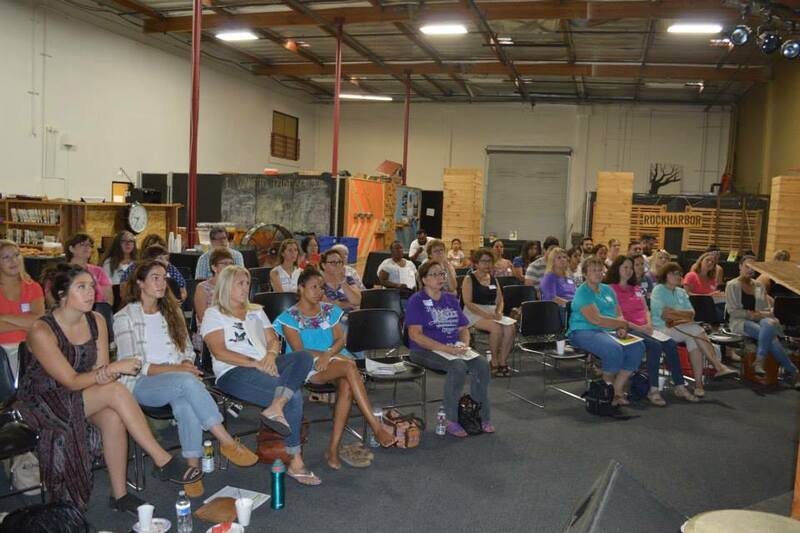 It is at the monthly gatherings where walls are broken down and relationships are formed. If you happen to stop by refuge church on a third Thursday you most likely will run into a baby, hopefully not literally, you most likely will share a meal with an incredible person, and you most likely will expeirence noise. 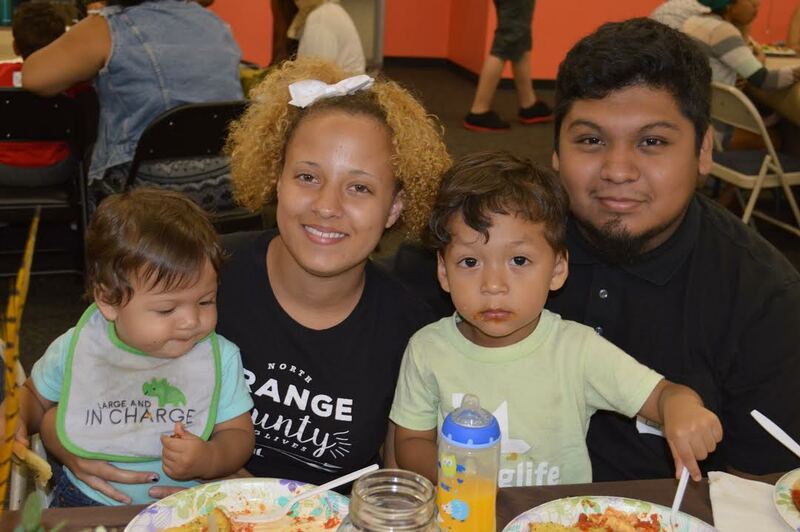 I am so very grateful for our YoungLives family. Each and every club is a true testament of Jesus’ love among us. 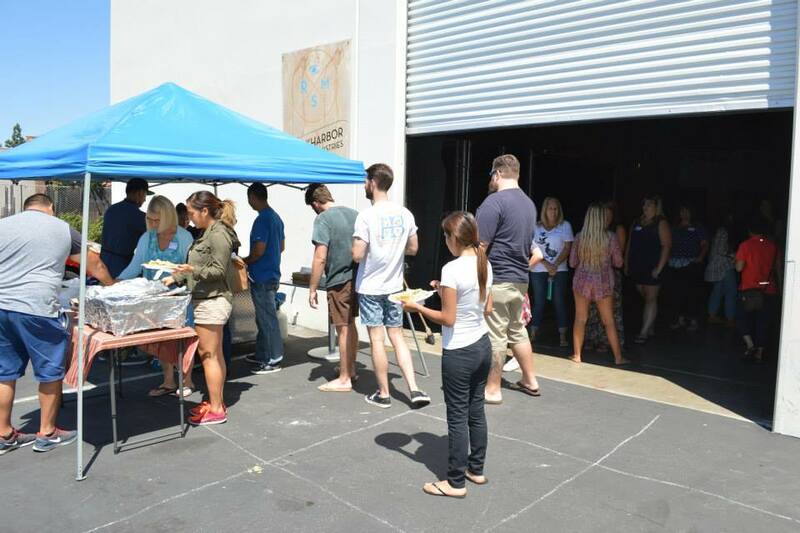 The YoungLives Fall Kick-Off was a great day. Let me be honest and say that I was not exactly looking forward to going, because it was on a beautiful end of summer Saturday and I really wanted to be outside playing. So, I was hoping it would be worth it. And it was! There was a lot of excitement. A lot of new faces. People who have never been involved with Young Lives were there because God had tugged on their hearts and they obeyed. To me, this is always a sweet thing to witness. I have learned from experience that in volunteering and pouring out on others, if I’m not being filled up by the Lord then I will both burn out and be of no good service to anyone. This day definitely filled each of us up. We started off with a devotional from Laurie Bradley who took us right to Jesus’ heart and example on service. She shared the washing of the disciples feet story. Seriously, how can one hear this story and not start to get a shift in their heart. The shift from all about me, to let’s look out for others. Let’s follow His example. We then got to hear from some seasoned volunteers from outside of our area Newport, Pasadena, and Las Vegas. They shared the history of YL and their experiences. They shared their passion, and It was contagious. I need that sometimes. A spark from someone else. Then I sat in Becky Tirabassi’s session!! Talk about a spark! Her story is a beautiful story of Grace and redemption! She shared how God reached down to get her attention and draw her in when He was the farthest thing from her mind and from her life choices. A great reminder that on any given day, God can renew and revive a life. And in YL, we often get a front row seat to watching it happen. Becky also reminded us of the importance of being disciplined and intentional about our prayer time and reading God’s Word. We really can’t do it in our own strength. Psalm 44:3 “it was not their own strength that gave them victory. It was by Your mighty power that they succeeded; it was because You favored them and smiled on them”. Yes Lord! Smile on us this next season and fill us with Your strength to go out to love and serve like Your beautiful Son did for us.